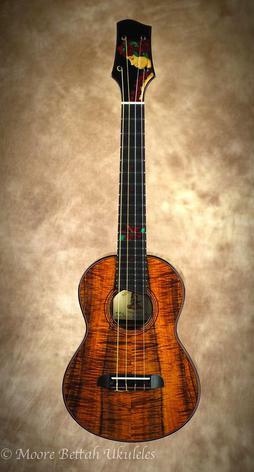 "I am the new custodian of a beautiful Chuck Moore ukulele. and could not be happier. ...I have received many compliments on its sound (and looks!). I will be playing it every day. It is already like a soul mate." Here's local artist Laron Kageyama giving his biased, if not totally accurate impressions of his new ukulele. Amazingly verastile rocker Rick Vito playing with the Island Rumors Band featuring Mic Fleetwood and Willie K. Find out what Rick's been up to and where he'll be appearing on his web site by clicking HERE. 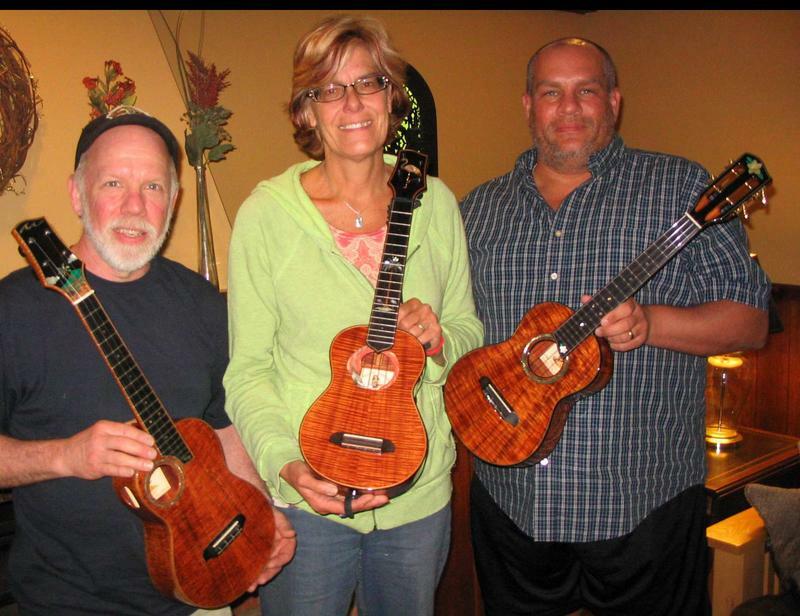 "I just wanted to tell you it was a pleasure meeting you and that I can't put this uke down! 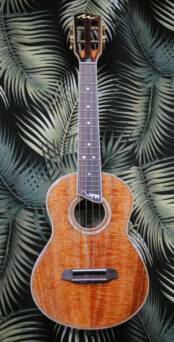 It is a very special instrument and it has inspired me to write a couple of new tunes already....Just know it has a great home and will be loved." 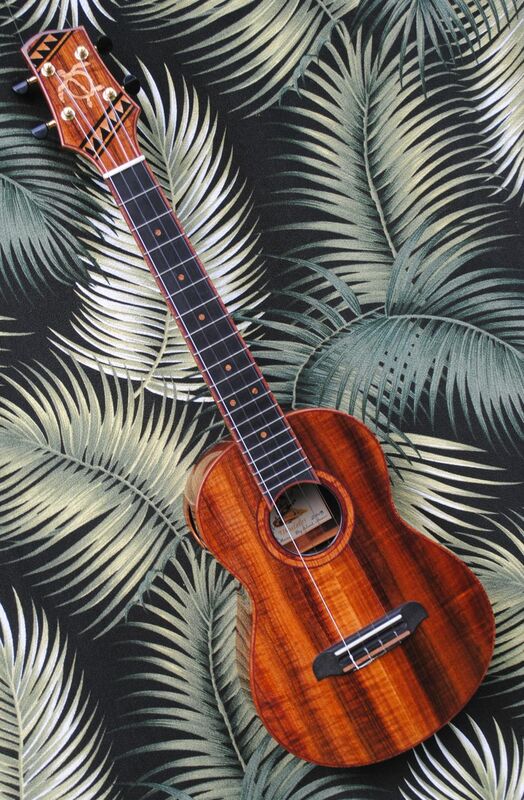 "I am thrilled with everything about the ukulele, from the craftsmanship, to the woods you chose, to the tone and balance of this beautiful little uke.....What impresses me most is the projection--this baby gets nice and loud without losing any touch or feel or clarity. A perfectly balanced instrument...I can't wait to get this baby in the studio. 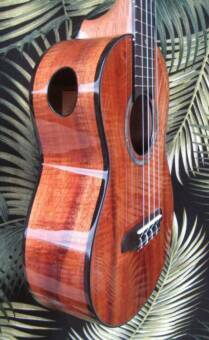 Mahalo again for making this such an easy process and for building such a great ukulele." 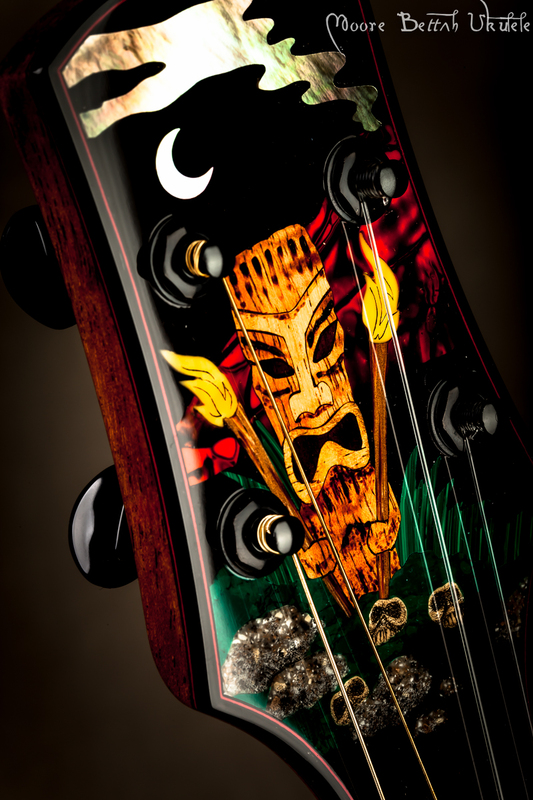 "...a stunningly beatiful instrument, I am absolutely thrilled! My first impression is that it sounds great and feels lovely to play. 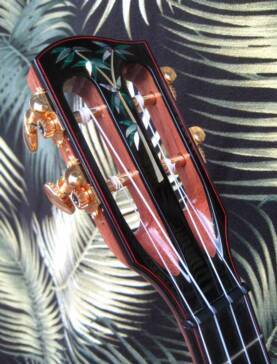 Really, I am amazed at the detail of the workmanship....it is truly a work of art." "I am holding the most beautiful instrument know to man. I am in heaven." "I must thank you for making this fantastic instrument. 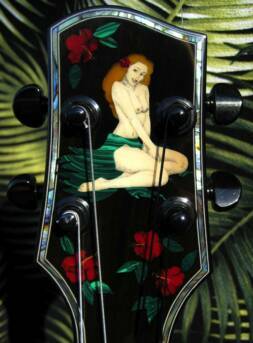 It is the most beautiful work of art and the sound is fantastic as well! You have made me so happy...I can't stop playing it. I must also thank you for your great service." 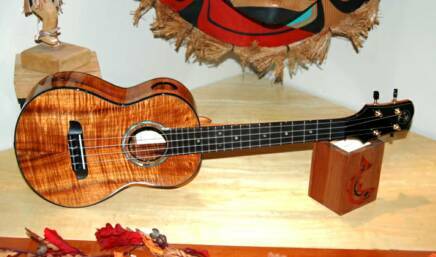 I imagined through your pictures how it would look but when I actually held the uke and played it I marveled at the beauty of artistry and craftsmanship. I will cherish this for the rest of my life. There are very few possesions that one has that will endure with time but this will only improve as I learn to play better. I've got blisters on my fingers. Thank you for creating a wonder and a friend. From Sweden here's a couple of videos from Pelle Matson playing his custom tenor 4 string. Interestingly, in Sweden at least they tune up to an A tuning. 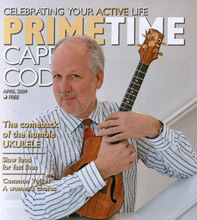 Pelle is an amazing musician and sonwriter as well as an enthusiastic supportor and promoter of the ukulele and ukulele music in Sweden. 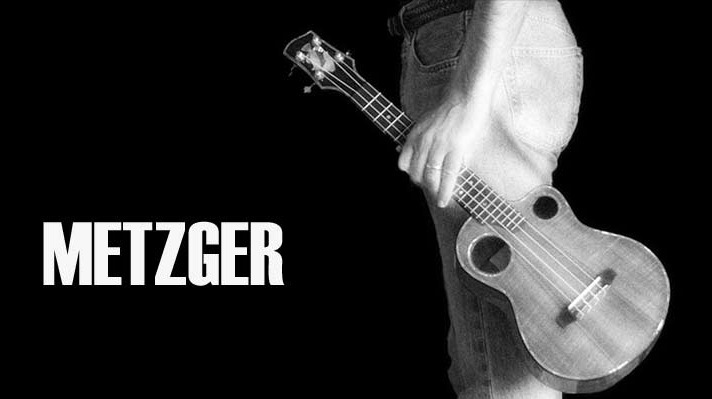 You can't imagine how really big the ukulele is in Sweden until you check out his web site: uke.se Make sure you click on the "English" button. These people know how to have fun! A Thumbs Up from Francois who lives in the south of France. 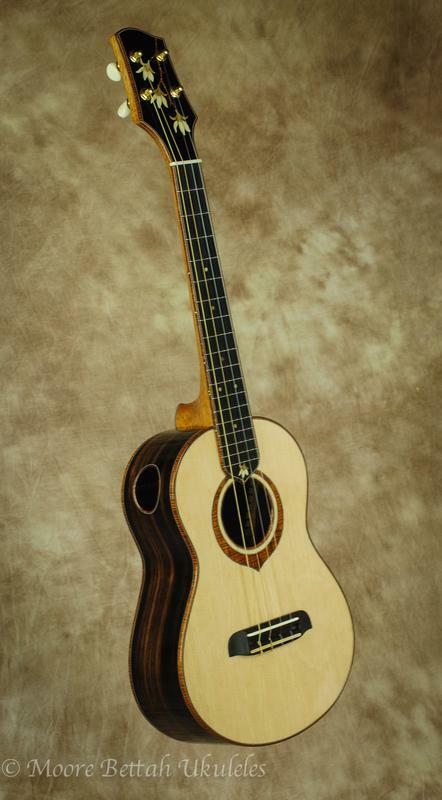 Bay Area musician Keith Metzger purchased this wonderful "dual puka" cutaway tenor at Schoenbergs Guitars in late 2008 and has been having a ball performing with it ever since. 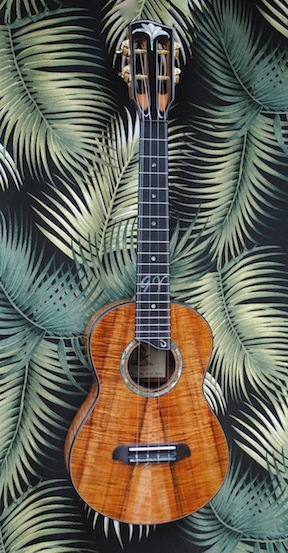 While friends accompany him on bass and drums, Kieth recorded the lead and rhythm ukulele tracks, all mixed in his home studio while the final mastering was done at Abbey Roads Studios in London. That's Keith you hear harmonizing on vocals as well. Sweet! 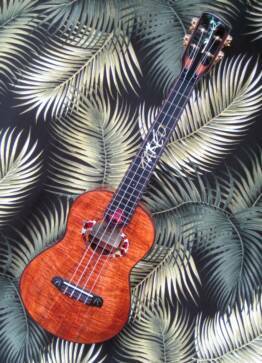 Matt Dahlberg reviews his first NSB Tenor. Matt is a phenomenal player and teacher from the Seattle area. Contact him for lessons via Skype or in person! Listen to what they're playing, what they're saying. Bob Kevoian, of the nationally syndicated Bob & Tom Show, having some fun with an original tune he wrote for his Moore Bettah ukulele. Click on the banner to check out Bob & Tom's radio and television show. 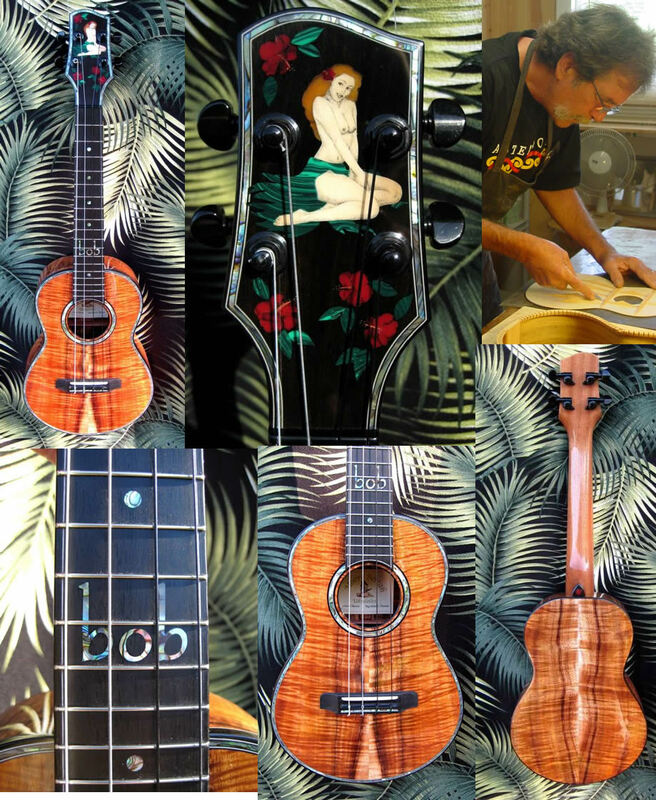 Chris MacKinnon submitted these two wonderful videos featuring his new custom tenor uke built from koa, rosewood and maple. The strings Chris is using are Worth Clear Hards. From Western Australia, Shaun Chandron made his stage debut at the recent Cairns Ukulele Festival where he left a lasting impression on the audience with his musical and singing skills. 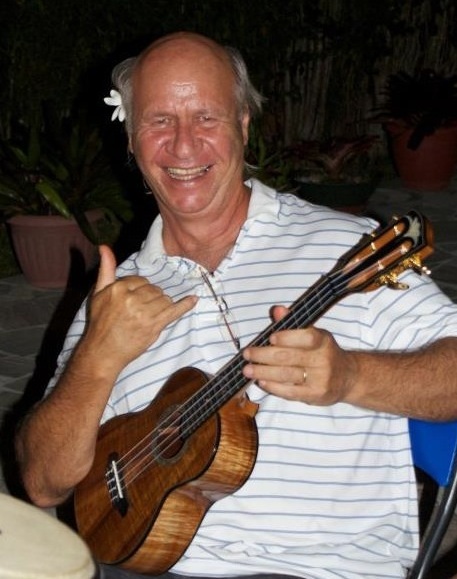 Shaun also incorporates the ukulele into his daytime job as a child psychologist by entertaining patients in hospitals, orphanages, nursing homes and street corners. 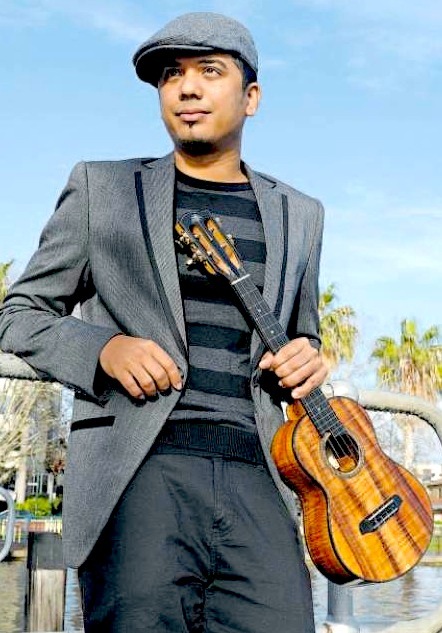 Bringing simple joy to people through his music is what Shauh does best and is what the ukulele is all about. Ledward Kaapana .... 'Jus Press! 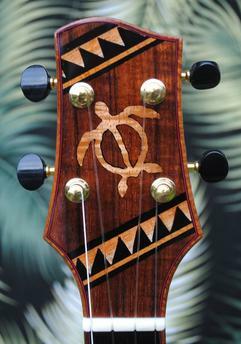 Daniel Lee delights us by playing his new Honu Tapa Tenor. 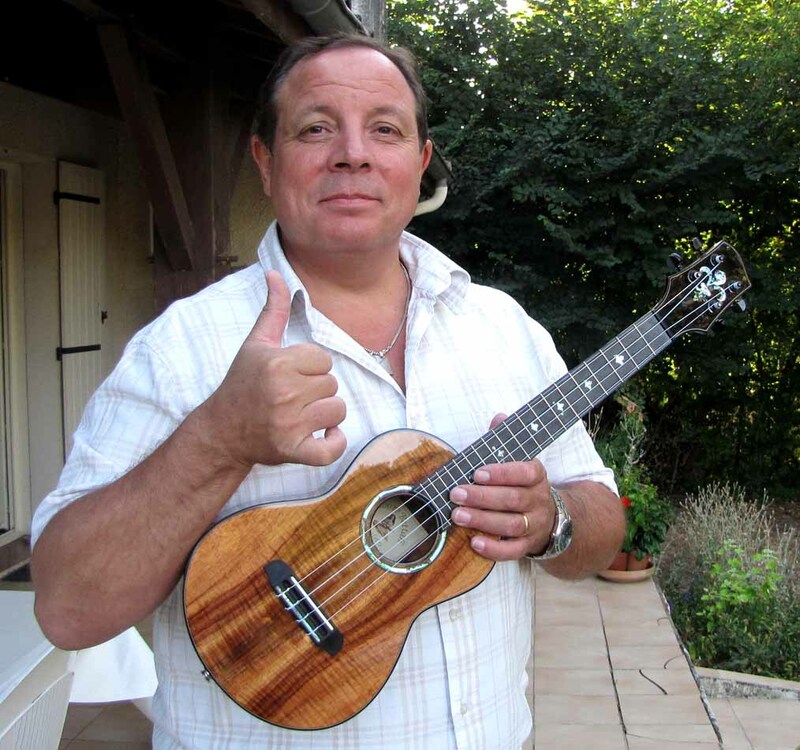 Roger Yane, Patrice Lintz (Acoustic Ukulele Tahiti) and special guest star Gerard Doucet perform their latest hit "Chuck Pueu Oo-ah-oooo" (aka "Surf") on the beach in Tahiti. 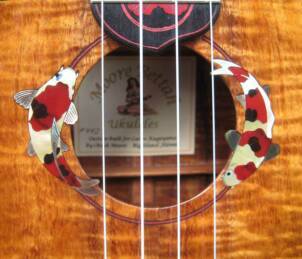 were kind enough to let me post their videos of these ukes they recently had in their shop. That's Corey Fujimoto playing BTW. Sweet! Mahalo Corey & Andrew Kitakis. The extremely talented Noah Campbell performing a Hawaiian classic on a rope bound tenor. 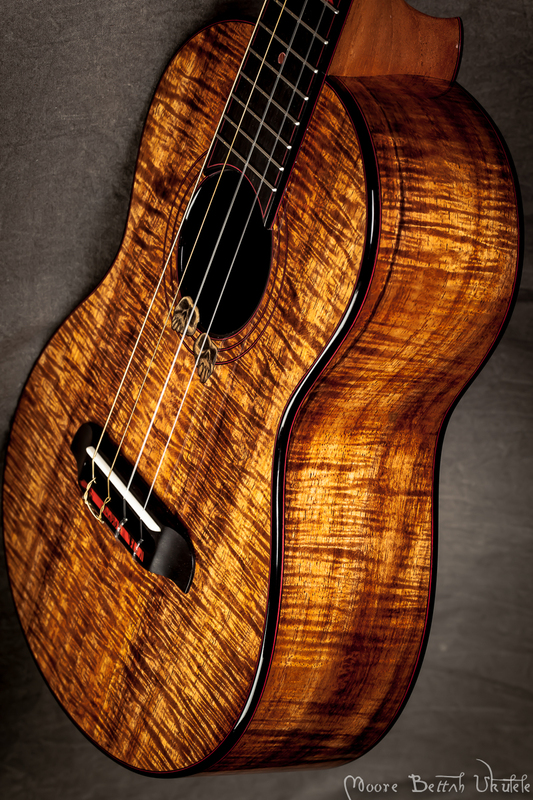 Kalei Gamiao showing off his mad skills on a tenor featuring Adirondack spruce and Macassar ebony. Mahalo Kalei! From Tahiti, Roger Yane with Patrice Lintz on guitar body surfing!